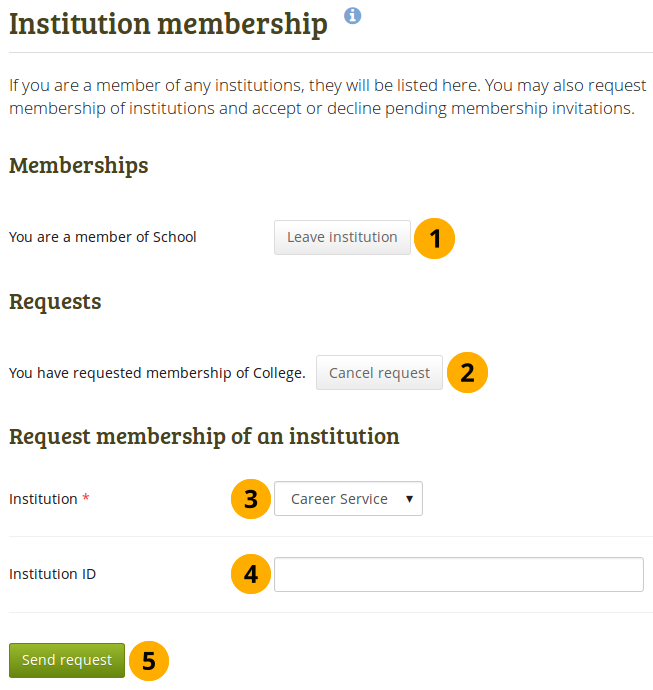 You can see in which institution(s) you are a member when you go to Main menu → Engage → Institution membership. You may be able to leave your current institution and join other institutions if they allow self-registration. If you cannot leave your institution, you must ask your institution administrator to remove you.